Three students from Deakin University will start on a six month programme in July. MailGuard plans to offer internships to students at Deakin University in a bid to cultivate the next generation of security professionals. The world’s largest private SaaS cloud security company hopes the programme will boost the number of skilled security professionals in Australia, the shortage of which is reaching ‘a critical point’. “For Australia it’s almost at a critical point. As a cyber security company to find goods skills in the market is very hard. 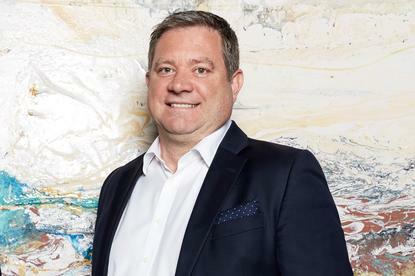 If you can’t attract skills locally, organisations have to go offshore and find people to bring into the country,” says MailGuard CTO Jason Pearce. With the cyber security industry growing every year, a bigger talent pool is needed, says Pearce. Those companies that are able to hire quality candidates face the prospect of them being tempted away by competitors. “Organisations that have built good security teams are under a lot pressure because there’s always a competitor who is trying to attract that talent. Staff retention is hard across the board. Companies need to put in counter measures,” says Pearce. Students on computer science courses at Deakin will be offered six month internships with MailGuard with the first intake of three scheduled for July. Pearce has high hopes for the new-starters who will be given exposure to various parts of the business. Successful candidates will show academic ability and drive. With such a high demand for cyber security experts, and the industry forecast only to get bigger, what’s stopping graduates going into the profession? MailGuard will also be working with Deakin University’s research and development teams, supplying working materials, and offering experts to share their real-world experience with students.